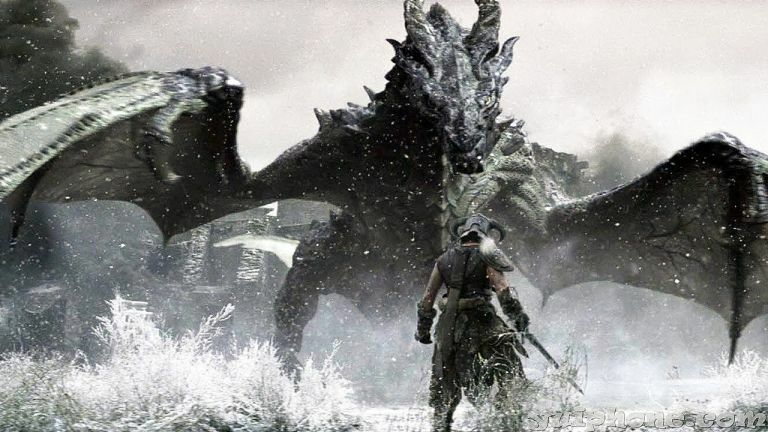 Perhaps one of the worst kept secrets of E3 2016, but an incredibly exciting one nonetheless, The Elder Scrolls V: Skyrim has been confirmed for PS4 and Xbox One this year. The Special Edition will arrive in the UK on 28 October (with a version optimised for PC as well). It might not have received much fanfare when it was announced at the Bethesda E3 Showcase earlier this morning, the announcement will be music to the ears of diehard dovahkiins who haven't had access to the huge raft of mods the Skyrim community has been building and sharing since the game launched back in November 2011. The Special Edition will effectively bring the current-gen console version of Skyrim in line with the current PC version, with a dwarven hoard of graphical renovations. You'll get volumetric god shading, multiple snow shaders and enough water shaders to make even the staunchest videgame H20 snob weep with happiness. More importantly, Skyrim Special Edition will also feature mods. Much like Fallout 4 on Xbox One, you can now download and apply gameplay and aesthetic modifications that change the way the game looks and plays. Mods have become the lifeblood of Skyrim's continued cult popularity on PC so it's pleasing to see this PC-centric feature finally make its way onto closed-box consoles. For those of you in need of a little more The Elder Scrolls news, don't forget that The Elder Scrolls Online will get its next big DLC expansion, the Dark Brotherhood, tomorrow on PS4 and Xbox One. You can suit up as an assassin for the legendary murder guild and finally become the deadliest being in Tamriel. Bethesda also confirmed free-to-play CCG The Elder Scrolls: Legends is still on its way, with a fully solo campaign confirmed and additional spaces on its current closed beta.